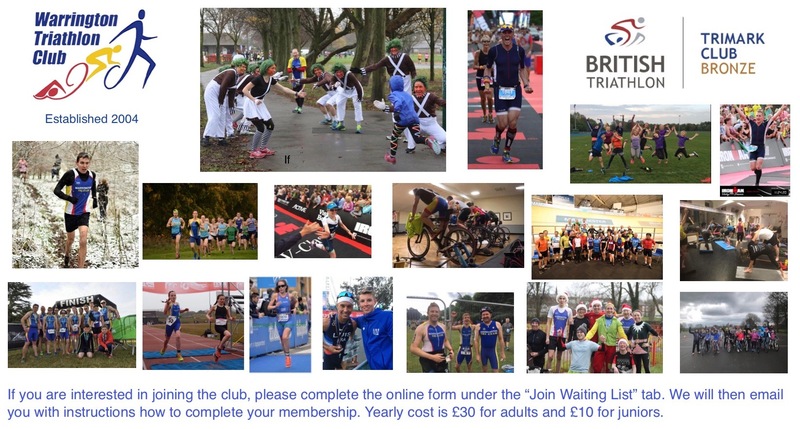 The club are very pleased to announce that we have been awarded the Trimark Club Bronze accreditation from British Triathlon! Absolutely delighted to announce that both George Hill and Jess Connolly were successful at the recent academy trials. It is going to be an exciting and challenging 12 months! Tony Clarke took back the club Ironman record from Jon Britton with a fantastic performance in Barcelona at the weekend in a time of 9:50:43. Don't think we've heard the last of that little battle! The dates and venues for the autumn/winter North West Sunday cross country series have been released. 1st race is 28th October at Clarke Gardens, Liverpool. Check your emails or look on the club calendar. Thanks to who attended on Saturday. It was a big turn out, lots of positivity and lots of good ideas moving forward. The club is in a good place. Also thank you to those who have volunteered for committee roles and in other ways. Onwards and upwards! Lucy has booked our fourth velodrome session for 30th September. Please click on this event on the club calendar for more details. Please indicate your intent to attend. First come first served. All abilities catered for! Dan Harbidge finished 1st overall at the Allerthorpe Standard Distance triathlon yesterday. Its a very well deserved success after getting so close eon numerous occasions! Ironman UK: Who could have predicted how much exposure the club, and our very own Dave Featherstone, would get from simply hosting a feed station on the Ironman UK bike course?! What a day and what a legend!